Sign Up Here | Forgot Password? 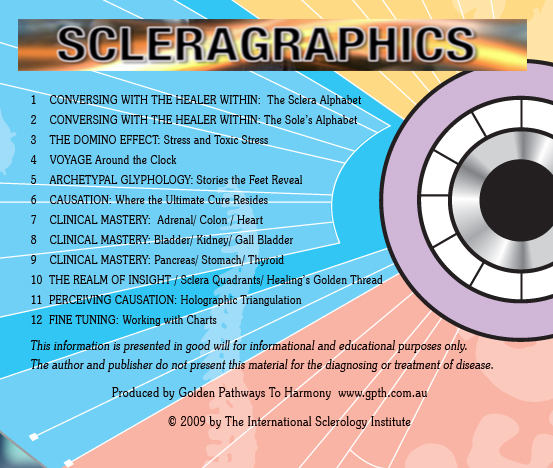 Scleragraphics is the combination the art of reading the red lines in the eyes (Sclera) with lines on the bottom of the feet (Foot Glyphology). In this 12 module online training, filmed on location in Australia, you get everything you need to get started. Online Videos, Manuals, Charts etc. Two modalities combined into one! Imagine the difference this knowledge can make to your clinical practice! Thoughts and feedback? We'd love to hear from you.